Shree Chauhan, an American citizen of Indian descent, has accused White House press secretary Sean Spicer of racism after an exchange in an Apple store in Washington. The 33-year-old woman challenged Sean Spicer as he was shopping, asking: “How does it feel to work for a fascist?” – referring to President Donald Trump. Shree Chauhan recorded the encounter and posted it online, drawing 300,000 views since March 11. She has been attacked online since posting the video, with critics branding her “vile” and accusing her of harassment. “It’s a free country and people can act how they want, no matter how that’s interpreted. “What can you tell me about Russia, Mr. Secretary?” the questioner persists. In a blog post, Shree Chauhan wrote that she is an American citizen who was born and raised in the United States. Shree Chauhan, who is the daughter of immigrants, acknowledged that she was “impolite” in her comments to the Trump aide. She said she wanted to seize the “enormous opportunity… to get answers without the protections normally given to Mr. Spicer”. It has been claimed that Sean Spicer’s remark – “it’s such a great country that allows you to be here” – may have meant it’s great that Americans can approach presidential aides even while they are out shopping. 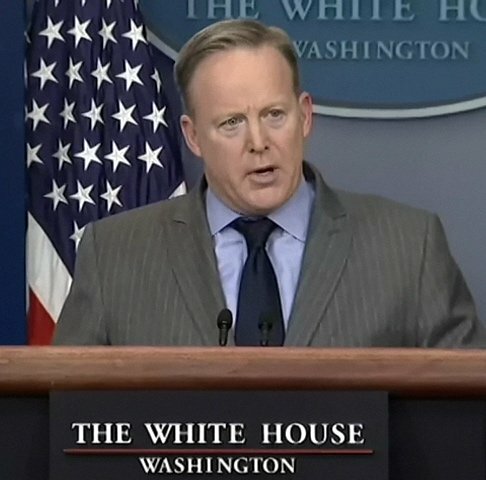 Shree Chauhan has rejected that interpretation, saying that Sean Spicer should have said “it’s such a great country that allows dissent” if that was what he meant.